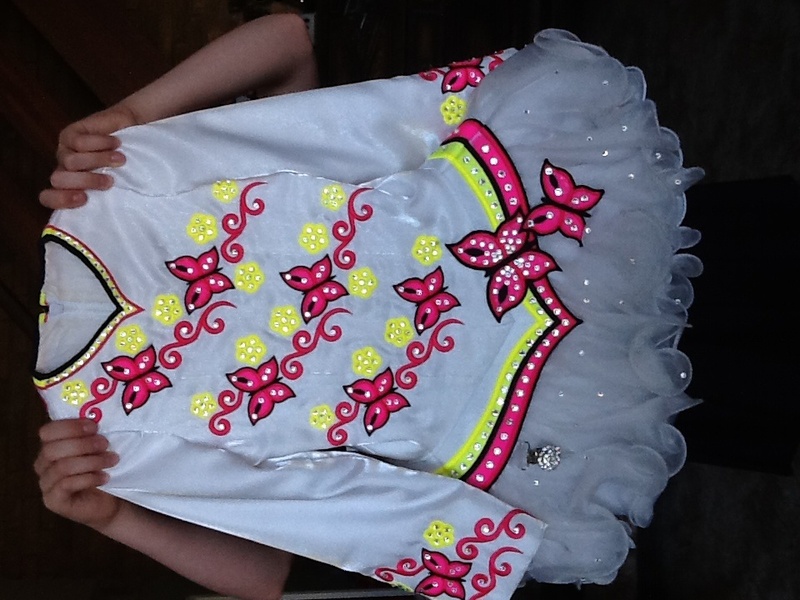 This is a gorgeous championship dress made by Jo Batley. 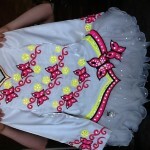 Currently worn by petite u9 dancer but would probably suit 6-8 years. 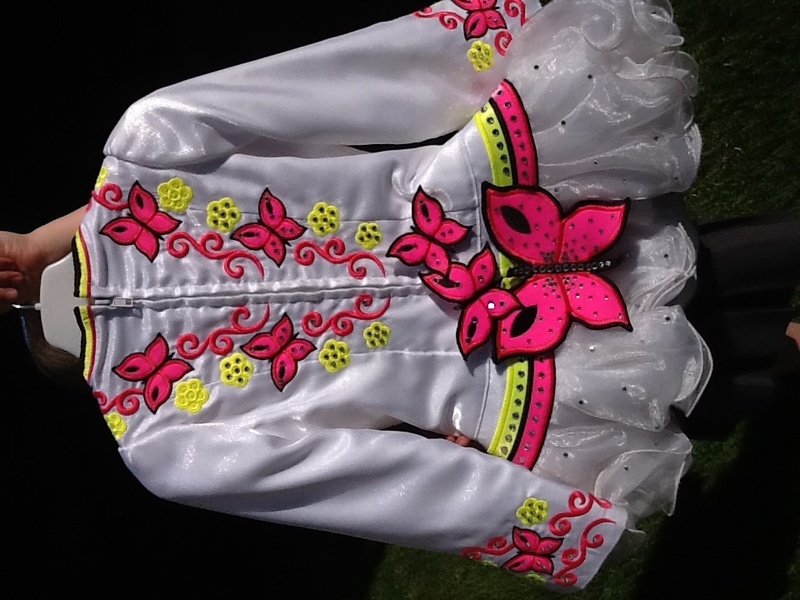 White twinkle satin with pink butterflies and yellow flowers, white ruffle net skirt, lots of Swarovski clear crystals, finished off with a cute butterfly shawl. Made for my daughter 18 months ago and has been kept well, no marks on outside of dress, small amount of tan under skirt but hardly noticeable. 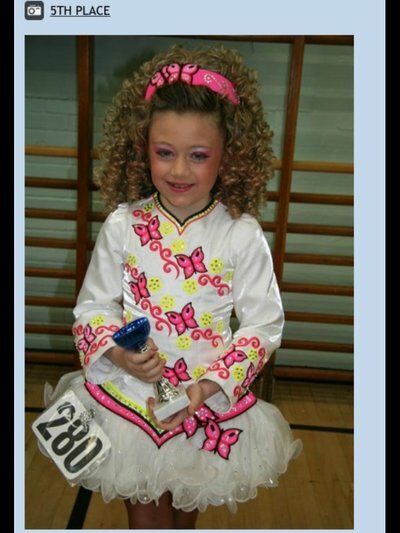 Including white kick pants , pink butterfly headband and Swarovski number clip. Ruffle net skirt can easily have a layer added for extra length.